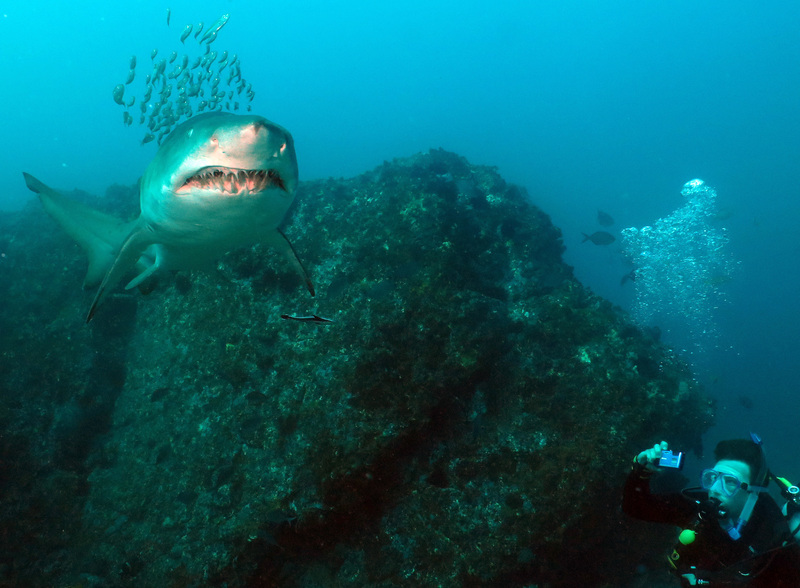 With “Wild Fin” full of excited divers we made our way out to South Solitary Island for two great dives. Although the vis was a little bit basic there was still plenty to see! The Cleaner Station and Shark Gutters were the local hangout for the Grey Nurse today. Black Cod, Lionfish, Turtles, schooling Sweep and Surgeon Fish were just some of the highlights. Congratulations to Helen and Harley on completing their PADI Advanced Open Water Course, Ian on completing the PADI Deep Diver Course and Charlotte on completing her PADI Open Water Course today.